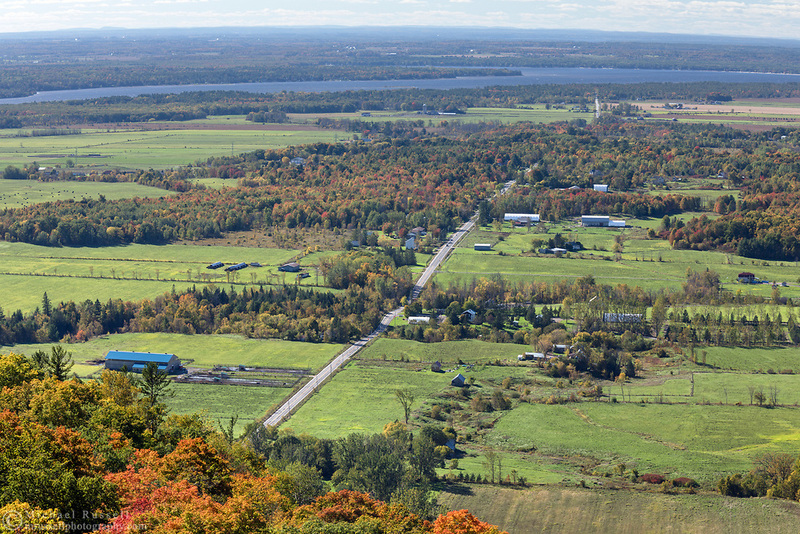 The view from the Champlain Lookout - Chemin de la Montagne heads west toward Heyworth, Quebec and the Ottawa River. Photographed from the Champlain Lookout at Gatineau Park in Chelsea, Québec, Canada. The Champlain Lookout is located on the edge of the Eardley Escarpment which is the dividing line between the Canadian Shield and the St. Lawrence Lowlands.